Red Bull is announcing its upcoming episode of Remix Lab, which will stream live on Twitch, March 27th at 1 PM PST. The first episode of the second season features Australian artist, DJ, producer and radio host Anna Lunoe, who will welcome Grammy-nominated artist and founder of Young Art Records TOKiMONSTA to the Red Bull Studio to create a new remix from scratch while interacting with a live audience on Twitch via chat. She will remix High Hopes by Rosehardt, a yet unreleased track that will appear on the upcoming Young Art compilation, Young Art Sound II. As TOKiMONSTA, California producer Jennifer Lee has charted a fascinating career, with her latest album Lune Rouge being her next exciting step. Lee’s work as TOKiMONSTA gained widespread recognition from fans and industry alike from the very start. With her 2010 debut album, Midnight Menu, released on Flying Lotus’ Brainfeeder imprint, Lee cemented her reputation as a formidable producer and live performer of the then-emerging West Coast beat scene. Following her 2011 Brainfeeder releases of Creature Dreams EP and her Ultra Debut Half Shadows in 2013, TOKiMONSTA has collaborated with artists like Jessie Ware, Anderson .Paak, and Kelly Rowland while also putting out several records on her own Young Art Records imprint that served as practical blueprints for the dusky environs of the recent Lune Rouge. 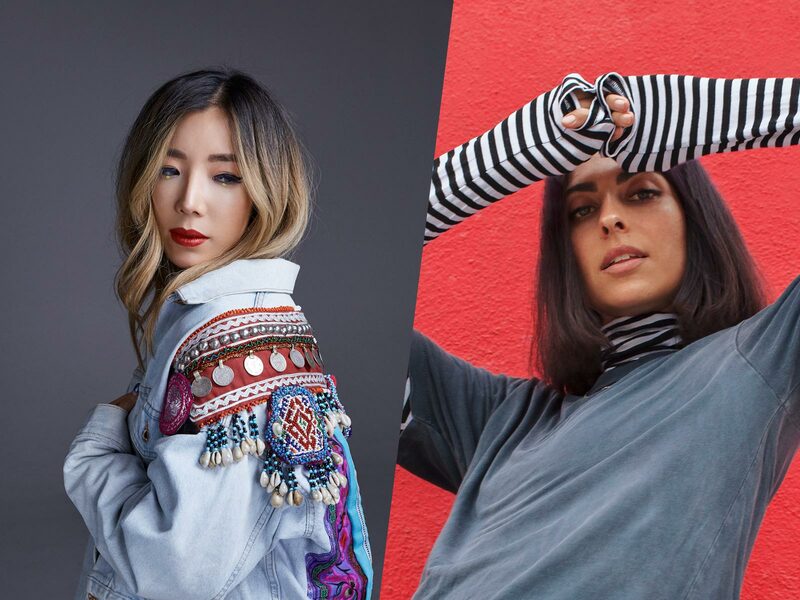 Creating a remix live in front of Twitch’s audience, TOKiMONSTA will be joined by Anna Lunoe in the studio who will be hosting Remix Lab for the first time, bringing her knowledge to the Red Bull Studio in Santa Monica. Hailing from Sydney, Australia, Anna Lunoe continuously breaks boundaries as a DJ, radio host, producer, vocalist and curator in the electronic music scene. Starting as a radio host on Australia’s FBi community radio, Anna quickly rose to prominence on the airwaves with her track selections and charismatic presence. In 2012 Anna made the move to Los Angeles to continue to build her career, releasing her debut EP Anna Lunoe & Friends, collaborating with a then relatively unknown Flume, and bouncing from one forward-thinking club banger to the next, releasing on the scene’s most influential labels like Fools Gold, Mad Decent, OWSLA, Ultra, and Spinnin’. Simultaneously she has become a crowd favorite in the USA live circuit, appearing at festivals including Coachella, Lollapalooza, Electric Forest & EDC Las Vegas, where she was the first solo female act to play the main stage. Amongst the many taking notice of Anna’s continuous climb and keen ear for the underground was radio legend and host of Apple Music’s Beats 1 platform, Zane Lowe. He approached Anna to help launch the radio platform where she debuted the HYPERHOUSE brand and radio show, her widest-reaching outlet to date for showcasing rising and established talent. She now serves as the voice of Dance Music for Beats 1 as the host of Beats 1 Dance Chart Countdown, airing every Friday night. Remix Lab is an interactive live broadcast on Twitch that features the world’s top electronic and hip-hop artists and producers in action with live remix sessions, entertaining tutorial series and more. From the ins and outs of today’s popular production software to firsthand knowledge about how to make it in the music game, Remix Lab brings its viewers inside the studio to soak up knowledge from the some of the world’s best. For 20 years, Red Bull has celebrated music, its culture and the creative minds behind it. With multiple festivals, music education workshops, collaborations with artists and thousands of initiatives, Red Bull supports artists and local music communities around the world.